16th September 2012. Just back from Bath and Devon. 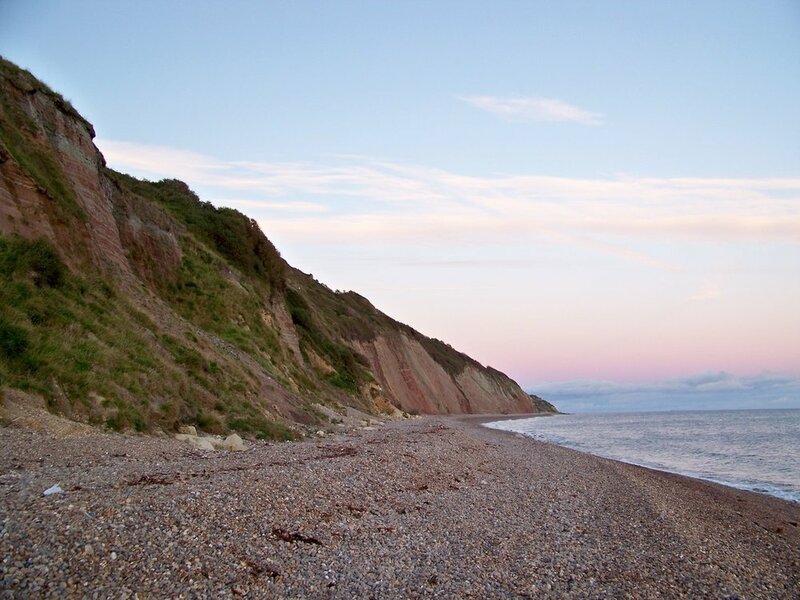 The photograph is at evening from the beach near where we stayed and the notebook drawing is of the beach at Branscombe.